develop innovative approaches to negotiate and structure operational and commercial agreements. We have acted as transportation law counsel for general service firms in Canada and have represented many industry sectors from exporters and importers, transport operators and charterers, cargo owners, freight forwarders, port and government authorities and transportation insurers. 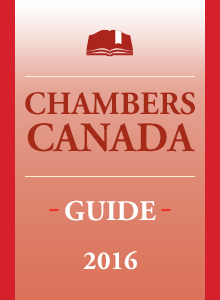 We offer customs law and international trade law advice and representation. Our experience in policy and regulatory development helps new ways of operating and doing business. We help people buy and finance their commercial vessels and pleasure craft. Our office location and technology allows us to offer a range of fee alternatives. Our services are provided by licensed lawyers. William Sharpe practised for eight years with a Toronto transportation law firm before starting his independent transportation law practice in 1990 as William M Sharpe, Barrister & Solicitor. He was called to the ﻿﻿Ontario bar﻿﻿ in 1982 and the British Columbia bar in 1992. William Sharpe has assisted clients in commercial transactions and claims, including through the whole of ships' life cycles from design to demolition. He has appeared as counsel before all levels of Ontario courts, the Federal Court, the ﻿Federal Court of Appea﻿l and the Supreme Court of Canada. William Sharpe has worked extensively on policy and regulatory development. 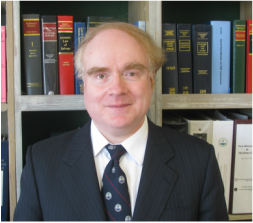 He is a titulary member of the ﻿﻿﻿﻿Comite Maritime International﻿﻿﻿﻿ and a director of the Canadian Maritime Law Association. Victor Truong has practised as an international trade consultant and in house counsel. He has advised on a wide range of trade related matters and international trade issues relating to import and export, including NAFTA qualification, valuation and appeals before the Canadian International Trade Tribunal and the Federal Court of Appeal. In addition to Canadian trade matters, he has worked with international counsel in matters before the US Department of Commerce and European Union Courts on Trade. He has taught as an adjunct professor and guest lecturer with George Brown College in customs procedure and has acted as an accredited interpreter for the Vietnamese language.